Have you been dreaming about a brand-new MINI this Christmas? How about the upcoming ColdPlay: A Head Full of Dreams concert in Manila? Well, you’re in luck. Two (2) free Platinum tickets to the ColdPlay: A Head Full of Dreams concert on Tuesday, April 4, 2017. If you’re not a ColdPlay fan, you can also opt for an Apple gadget package that gets you a MacBook Air, iPad Air, iPhone 7, and Apple Watch. 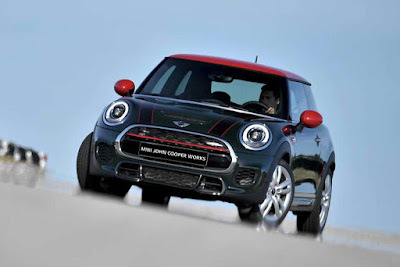 Either way, your Christmas stocking will surely be stuffed for buying that MINI. Visit MINI Global City or call +632-856-7555 for details.